North Jetty Car Park01493 846358work Car ParkJetty North Car Park, Great Yarmouth, is a short stay car park with 45 spaces and 3 spaces for the disabled on the seafront next to Castaway Island crazy golf course. 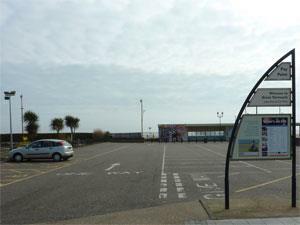 Long stay car parks are available at North Drive, St Nicholas on South Beach Parade and Beach Coach Station on Nelson Road North. On arrival in Great Yarmouth, follow signs to the seafront. At the mini roundabout, turn right and drive along the seafront. Drive past a parade of shops just past the Marina Centre on the left. Just before the mini roundabout, turn left into the car park, being mindful of the slow lane and wide pavement.